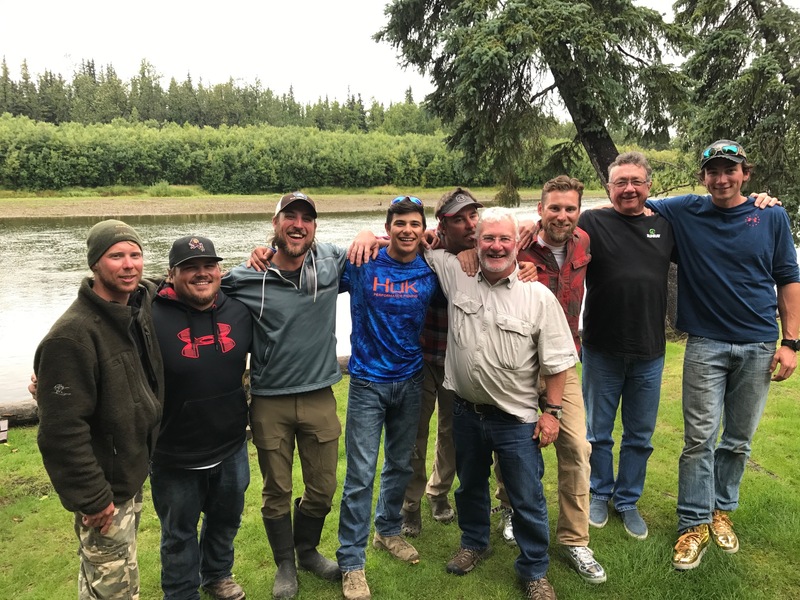 For those of you who were able to join us this past season, you got to see a crew who works every day of the fishing season to keep the Anvik River Lodge running smoothly. Our work-weeks aren’t structured around the 9-5, or a Monday-Friday type of scheduling. At Alaska’s Anvik River Lodge we structure our work during the guest season on a day 1-5 basis – which continues all summer long. There is no weekend, or day off in between; it just starts over again at day 1. This is because our guests visit us for 5-night trip packages. Our trip packages include a private airplane charter that brings our guests to and from the village of Anvik from Anchorage. And as Boss-Lady always says, the charter flight needs to be full going both ways in order to be able to provide this service – it’s too expensive not to have it be. Hence the “no days off” situation. To be totally honest, most of us are never really sure what the actual day of the week it is. We know what day of the guest’s trip it is usually only by what’s on the dinner menu. For example – if its shore dinner rib-night then it’s day one, if it’s steak & king crab night, it’s day five. One thing we know for sure – is when the guest season starts on this beautiful remote river – TIME FLIES! The crew starts working about mid-May and works for the entirety of the fishing season (mid June-late September), basically non-stop, to keep up with the new, and returning, guests that we get to greet every 5-day cycle. A typical day working at the lodge can start well before breakfast, and go all the way until the fire burns out in the late evening, and the guests are ready for bed. This schedule can add up for someone. If you can imagine working your job every day for up to 5 months – it can get a bit exhausting on the mind and body. Here is a little bit more about what keeps us going strong in the most remote lodge in Alaska, hope you enjoy. What a great group of co-workers. Anvik Lodge crew 2017!! You are looking at a crew with just a couple weeks left of the 2017 season. If you look closely at each crew-member in the photo, you will see a smile that is just as genuine as the smiles we had on our faces from the very start. 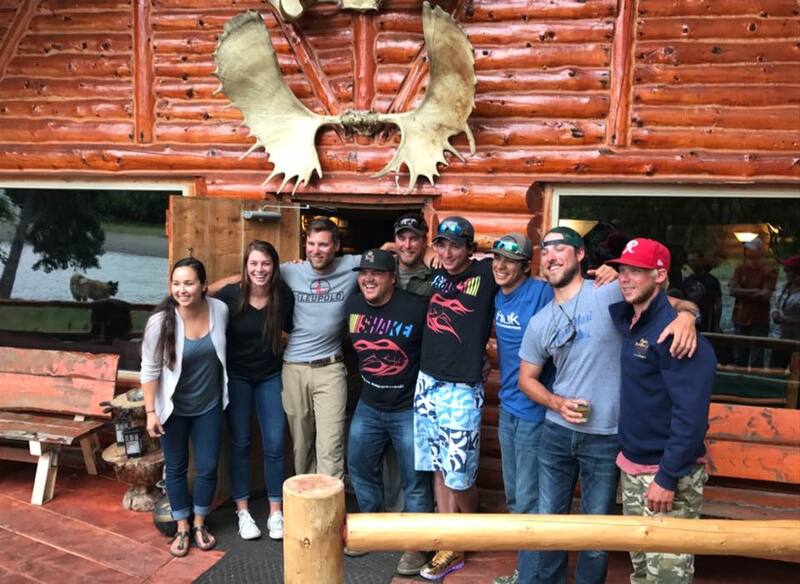 For the duration of the fishing season, this staff works closely with each other on everything we do. We’re constantly sharing information on each individual guest to maximize their experience with us. In doing so, we are able to share ideas, goals, recipes, and stories of what this river has seen in it’s rich history. Guests often comment on the chemistry that is particularly strong with our crew. It really is the glue that holds this staff together. We have routines, traditions and fun events every day that we look forward to with each other and our guests. These things keep us fueled and excited for each and every day we face. The relationships that we’ve built here at the lodge are a direct reflection of how well we’re supported by Cliff and Cheryl, our wilderness experts, pseudo mom & dad and the owners of the Anvik River Lodge. They have worked tirelessly to construct a spectacular destination for all to enjoy, and we lean on their vast knowledge and expertise each day. Their love and enthusiasm for what they have created is contagious, and powers the crew to keep going daily. So what happens when the fishing season is over in September? Well, after the season ended, the ARL crew had some well-deserved down time for the first time in a long time. Civilization has a lot to offer this crew back from the wilderness; high speed internet, cable, sporting events, humans, level ground & pavement to walk on, central heat and air, fast food, and vehicles that go over 30 MPH. The most popular thing to do when back in civilization is to let someone else finally prepare your food, and even take care of the dishes afterwards! WOW! That’s a big one for the crew… you forget how nice that is just to casually go out to eat somewhere. The off-season leaves a lot of time to travel and see places, like maybe even drive across the country to move to Alaska! Even with all these things to offer, it does not take long before we start missing the life we have out at the lodge. 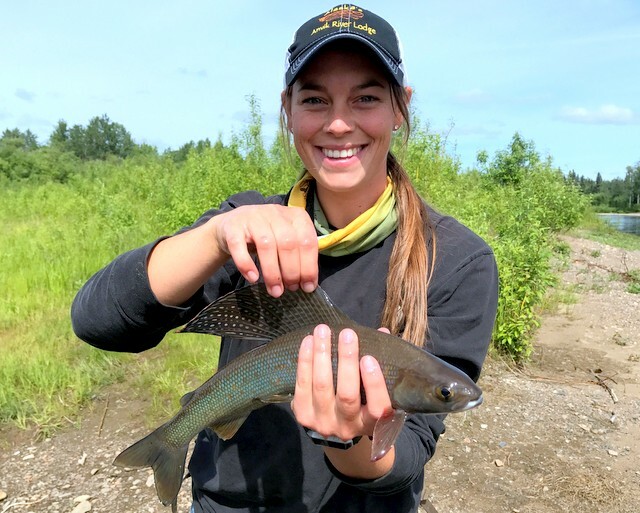 Whether it is traveling, fishing, hunting, working, working out, or binge watching the newest series on Netflix, we all find ways to keep ourselves busy during winter until it’s time to go back out to our favorite place to be – Alaska’s Anvik River Lodge. We come to work in the most remote part of Alaska, meet strangers that soon become family, and have a dream job working in the most amazing place. That is what keeps us going. We are ready, and eager to share this piece of paradise with each one of you. We are looking forward to sharing our lifestyle and memories with all of you in 2018! Thank you for reading and stay tuned…..